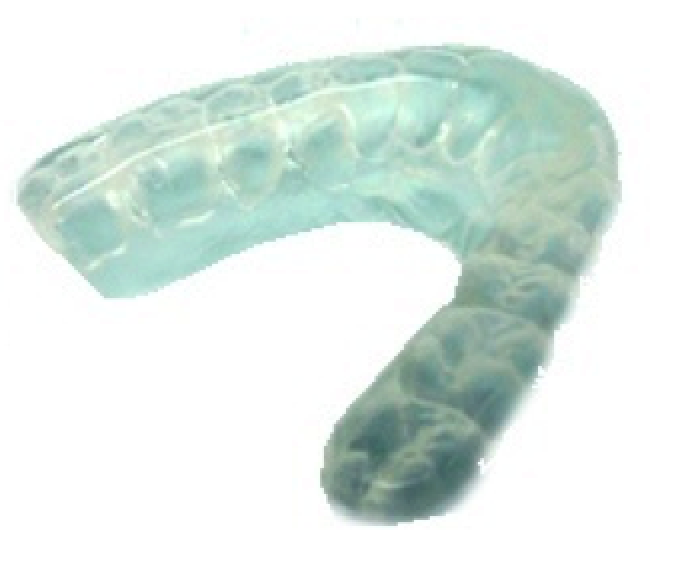 Bite Splint—made of a thicker plastic than an Essix, this retainer can protect the teeth from wear due to a bruxing habit. 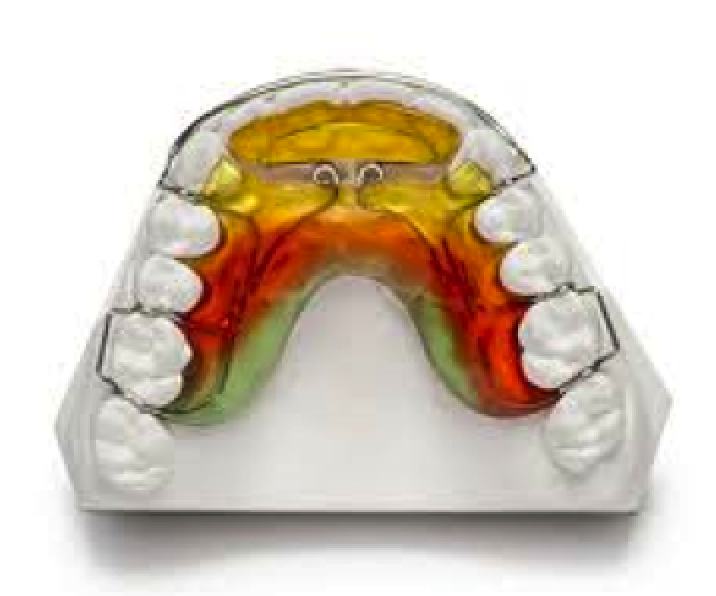 Bite Block—made of thick acrylic, this appliance is used to prop the bite open, which is especially helpful during braces treatment to correct a crossbite. Wraparound—made of acrylic and a wire that wraps around the full arch and crosses over to the palate in the posterior to maintain alignment. Spring—made of acrylic and wire, this retainer is equipped with springs to actively effect mild to moderate tooth movement. Lingual Bond—a wire attached to the back of the anterior teeth. 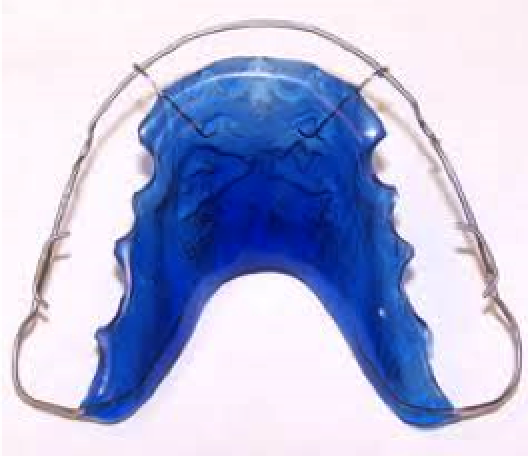 This type of retainer is especially helpful to prevent vertical or spacing relapse, but it’s difficult to clean around. 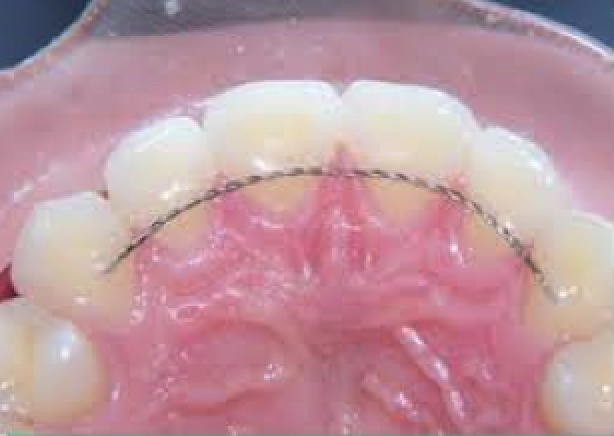 We recommend that an Essix retainer be used in conjunction with the lingual bond because the lingual bond doesn’t maintain the result of all the teeth. Also, the wire may break or come loose undetected until the teeth have already shifted. 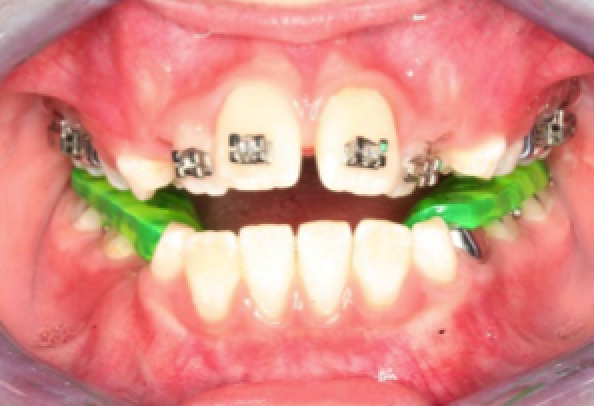 An inlaid lingual bond is another option, where the retainer is actually embedded in the back of the teeth. Hawley—made of acrylic and wire, this retainer can be adjusted and may be preferred when there are primary teeth that have not been lost yet, as it doesn’t cover the surface of the teeth and won’t impede natural eruption. 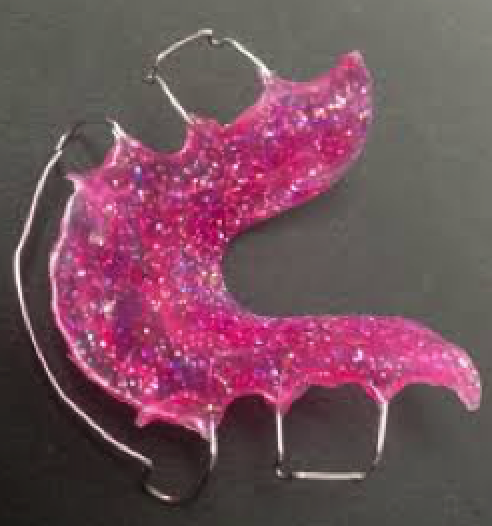 This type of retainer can also be made with a thick plate of acrylic in the palate that can help open up a deep bite. Essix—a thin, clear plastic tray that fits comfortably over the surfaces of all the teeth.